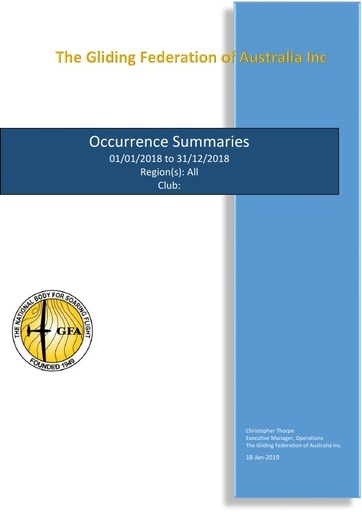 This document provides a statistical summary of all accidents and incidents for the period 1 January 2018 to 31 December 2018. A short synopsis of each occurrence is also recorded. The document draws data from the GFA's SOAR database.